Commuting to work is terrible when you’ve got to sit in traffic to get there. One of the many benefits of bike commuting is that you can cut right through grid locked traffic. 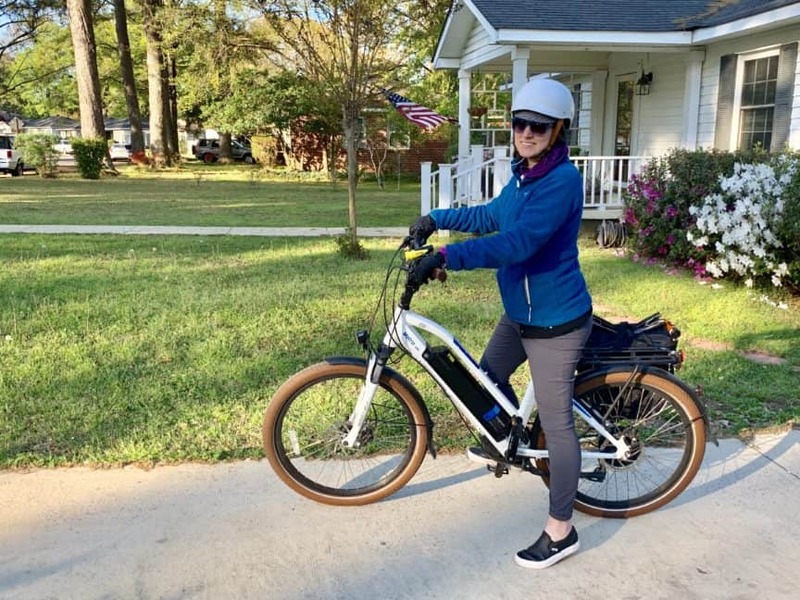 This is Caryl from Tuscaloosa, Alabama who started bike commuting to turn her horrible work commute into something she enjoys. 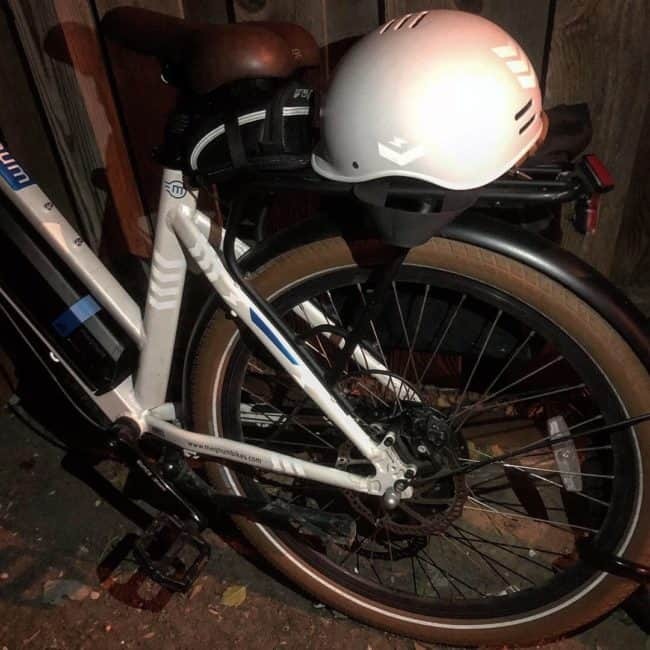 Here’s her story of bike commuting! What got you started? 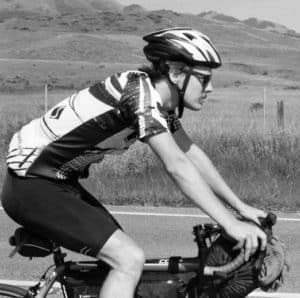 An early retirement blogger I follow is a “bike everywhere” evangelist, and my commute was slowly killing me. Both of these gave me the push I needed to get a bike. 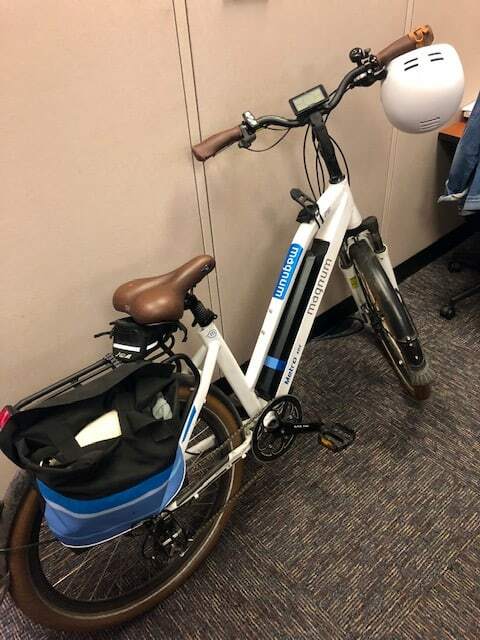 My full commute was 15 miles one-way, but as a newbie, I started by driving my bike about five miles away, then seven, then 10… I only ever made it up to the full 15 miles when I got an ebike. When I moved recently, I made sure to get a place that was MUCH closer to my job to make my commute a bit easier. It’s been wonderful! Any stories from your commute? My previous commute was on lots of trails and went through a state park, which was a lovely way to start the day. My new commute is on city streets, and I miss the nature, but I’m grateful to be out of my car most days! 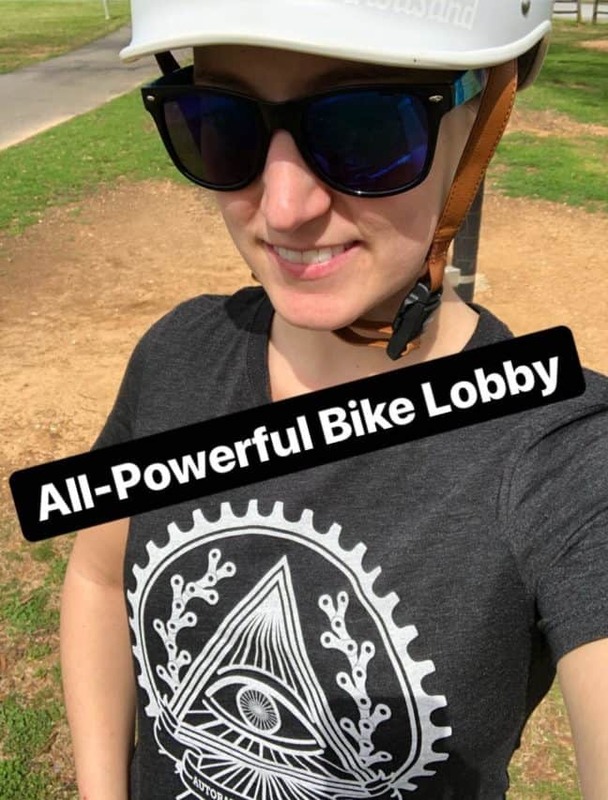 Now that I’m pregnant, I feel it’s more important than ever to stay active and show this new town I’m in that biking is perfectly normal mode of transportation, even for moms and moms-to-be! 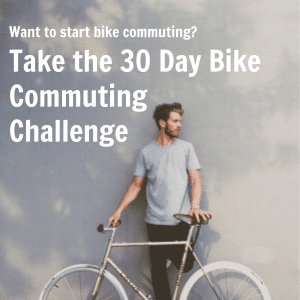 What is one thing you wish you knew before starting to bike commute? You don’t have to be a speed demon. You don’t have to wear lycra. You are allowed to pedal at a comfortable speed and arrive at your destination only slightly sweatier than you would be after a brisk walk. 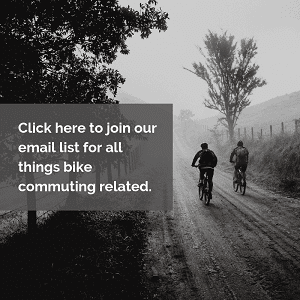 Anything else you’d like to share about bike commuting? It changed my life and opened my eyes to the community around me. 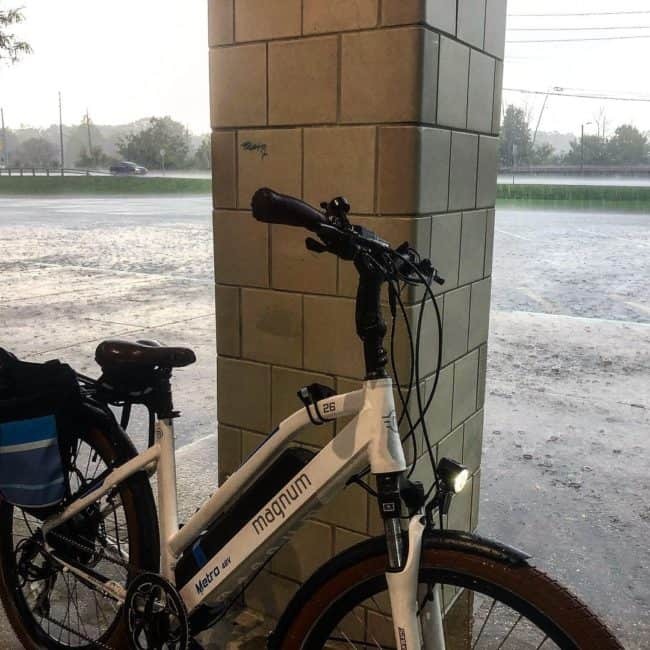 I had lived in the greater Indianapolis area for most of my life, but until I saw the city through the eyes of a pedestrian, I never saw the gross inequities of transportation in our city. I got involved with a local community group that worked on adding sidewalks, trails, trees, and lights to our neighborhood streets. In my new city, I plan on continuing that advocacy so more people can have access to better modes of transportation. What gear do you routinely carry for your commute? I try to be minimalist, but it never ends up that way. In my pannier, I carry my lunch, water bottle, change of clothes (if it’s insanely hot outside), fix-it kit, and lock. If it’s going to rain, I’ll throw in my raincoat/pants and a PackTowl. I have a “clean-up kit” at work with cloth wipes, makeup, deodorant, and dry shampoo. I wear my work clothes while riding and do my hair at home, so the clean-up kit is for when it starts to get hot around here, as my place of work does not have showers. I don’t think a shower is necessary, even after 15 miles in the heat of summer (if you have proper gear– wool undergarments are key! ), so I have no complaints!